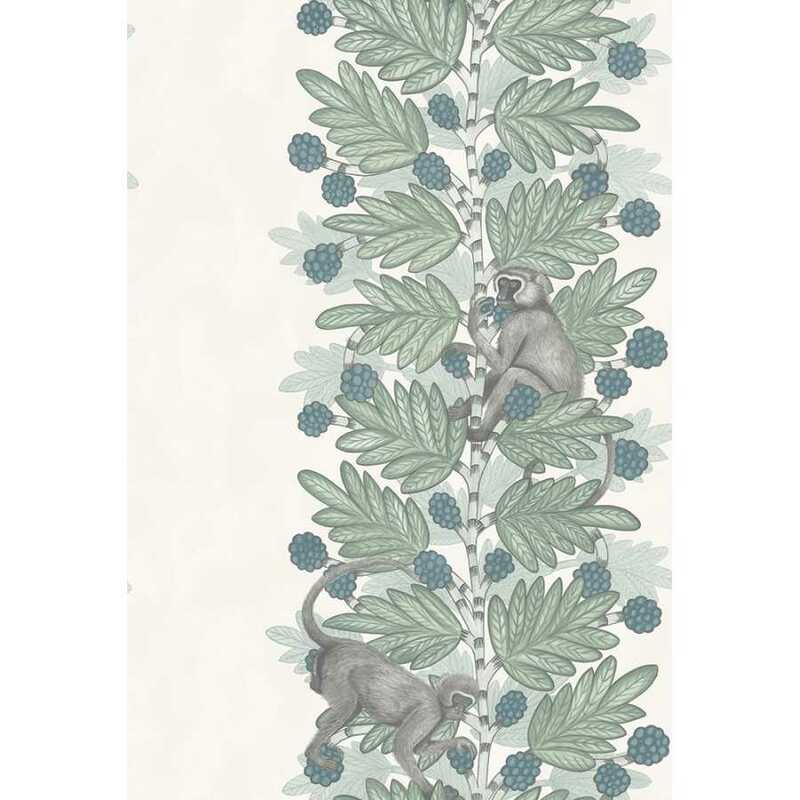 Named after the African Acacia tree, the Acacia print features a wide, vertical stripe effect featuring mischievous monkeys climbing the Acacia tree and picking the tree’s berries. 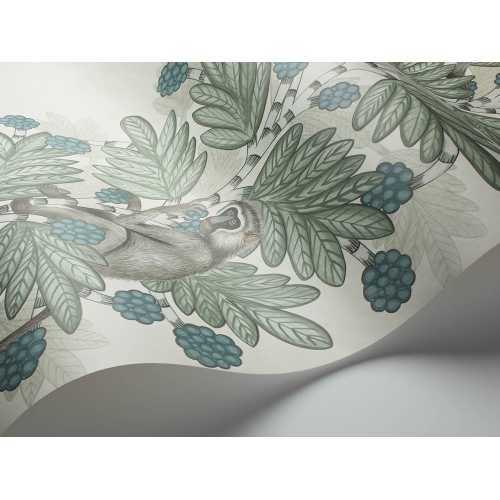 The wide stripe detailing is broken up with vertical stripes of negative space resulting in emphasizing the attention on the tree print making this design dramatic yet subtle. The Acacia 109/11052 is cooler version of the print from this collection featuring cool blue berries, two-toned muted green leaves and realistic coloured, grey monkeys. The negative space separating the tree print consists of a soft cream colour with extremely subtle water colour effect mimicking clouds. Inspired by African Ardmore ceramics, the designers behind Cole and Son have been working hard on a truly imaginative yet traditional African collection of the boldest, brightest and superbly detailed wallcoverings to add to the brand’s impressive archive of luxury wallpapers. This quirky yet beautifully intricate design will be sure to add freshness to your wallcoverings resulting in a perfect match for any interior space! 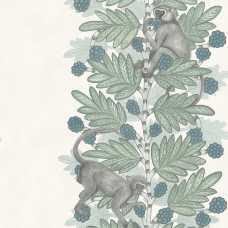 The Ardmore Acacia print measures at 52cm width by 10meters length with a 76.2cm repeat. We are super proud to represent this brand and their imaginative spin on African culture, art and traditions!